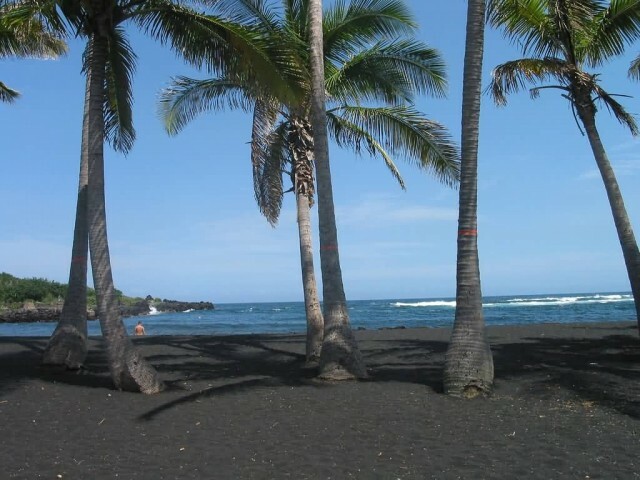 Punalu’u Beach also called Black Sand Beach. Punalu’u Beach is a beach between Pahala and Naalehu on the Big Island of the U.S. state of Hawaii. 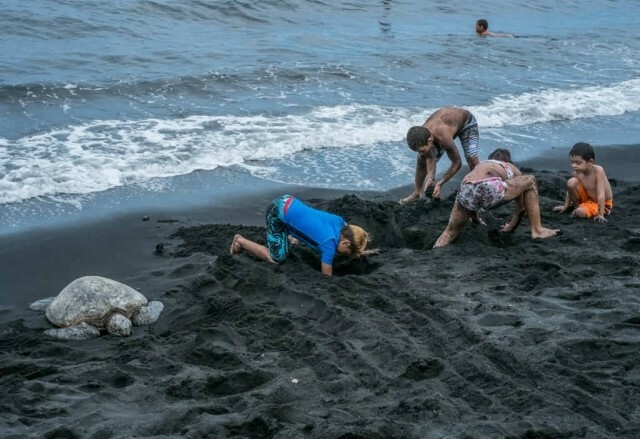 The beach has black sand made of basalt. The swimming area is very rocky and it can be dangerous to swim. The beach also has a large amount of underground fresh water that flows in it. This fresh water is very cold and looks almost like gasoline mixing with the water. The ancient Hawaiians living in the area would dive underwater with a jug to get their fresh water. 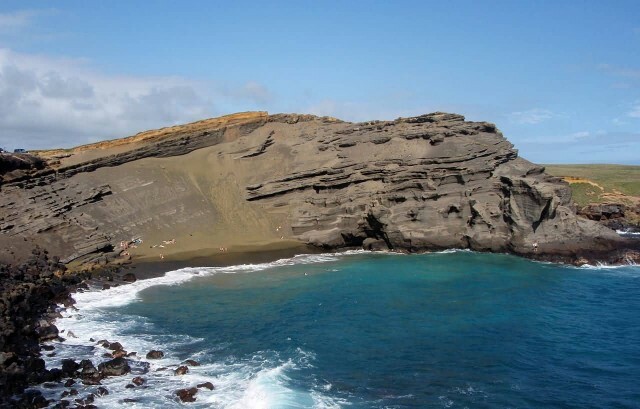 Papakolea Beach also known as Green Sand Beach or Mahana Beach. It is located near South Point, in the Ka’u district of the island of Hawaii. 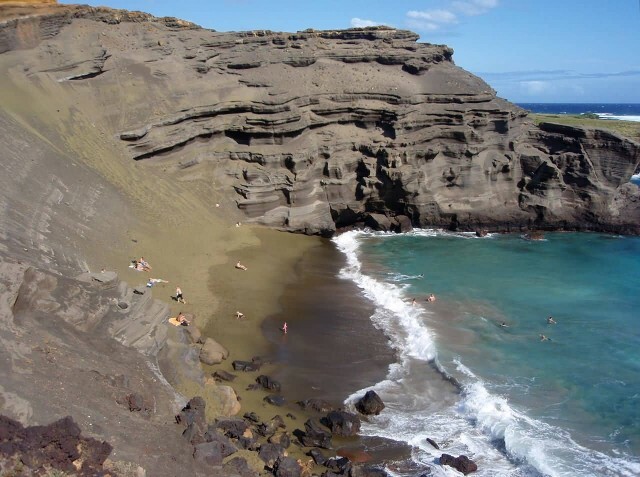 One of only four green sand beaches in the world. It gets its distinctive coloring from the mineral olivine, found in the enclosing cinder cone. The source of the green coloration of the beach sands is due to the olivine crystals. Olivine is a common mineral component of Hawaiian lavas and one of the first crystals to form as magma cools. Olivine is locally known as “Hawaiian Diamond” and is notably found in O’ahu’s famous Diamond Head landmark. Hyams Beach is a seaside village in the Shoalhaven, New South Wales, Australia. 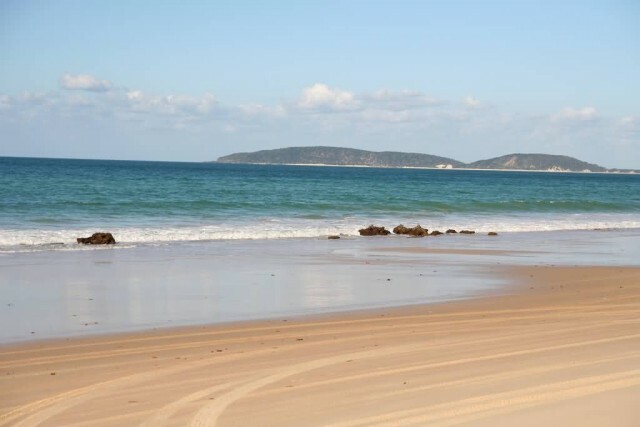 The village is 180 km south of Sydney and it is bordered by 2 beaches: Chinaman’s Beach to the north and Seaman’s Beach to the south. Hyams Beach is the beach in the centre. 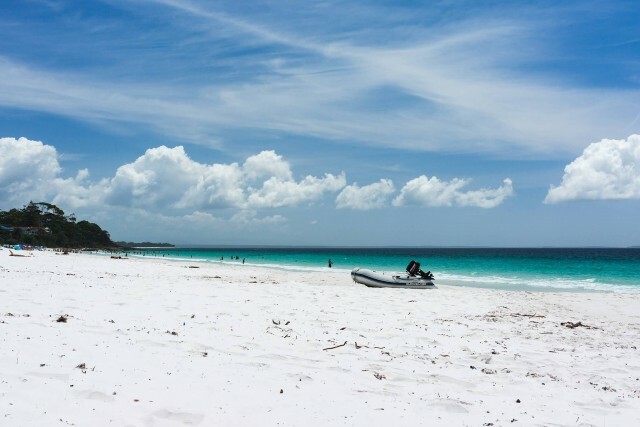 The sand at these beaches is known for being fine, soft and brilliantly white. 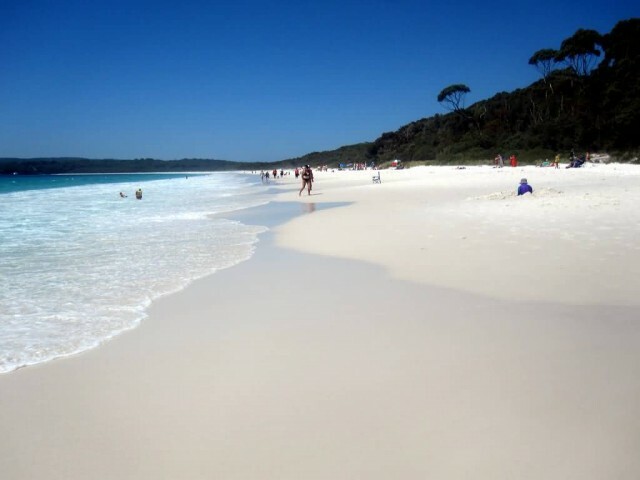 The Guinness Book of Records reports Hyams Beach as having the whitest sand in the world. 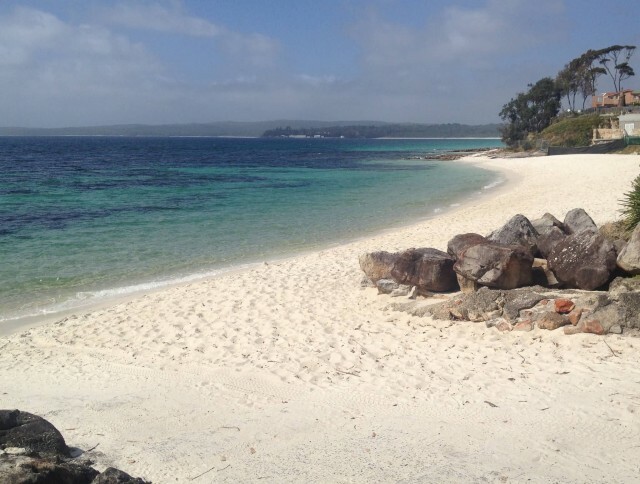 Hyams Beach gives a ‘natural bush’ feel with an abundance of native plants, animals and birdlife. Red Sand Beach on Kaihalulu Bay is a pocket beach on the island of Maui, Hawaii. 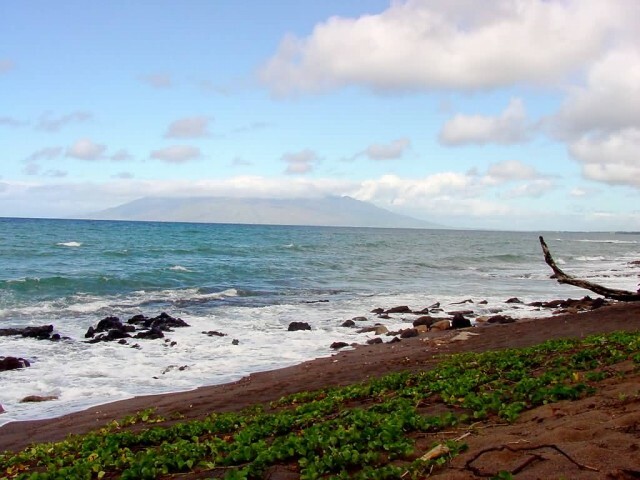 Red Sand Beach is partially shielded from the rough open ocean by an offshore reef. 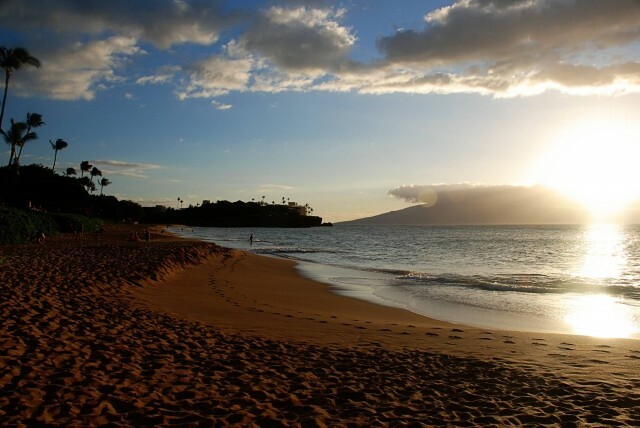 Kaihalulu is one of the few red sand beaches in the world. The sand is a deep red-black, which contrasts with the blue water, the black sea wall and the green ironwood trees. The cindercone behind the beach erodes constantly which continually enlarges the cove. This hill is rich in iron. 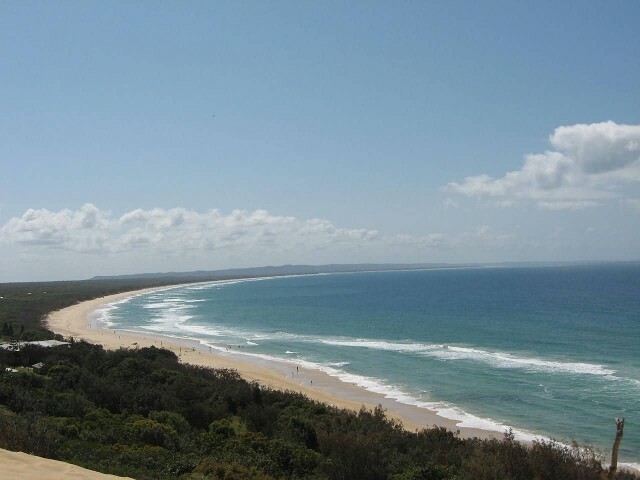 Rainbow Beach is a coastal town in the Queensland, Australia. According to the legends of the Kabi people, the dunes were coloured when Yiningie, a spirit represented by a rainbow, plunged into the cliffs after doing battle with an evil tribesman. Much of the sand colors stem from the rich content of minerals in the sand such as rutile, ilmenite, zircon and monazite. 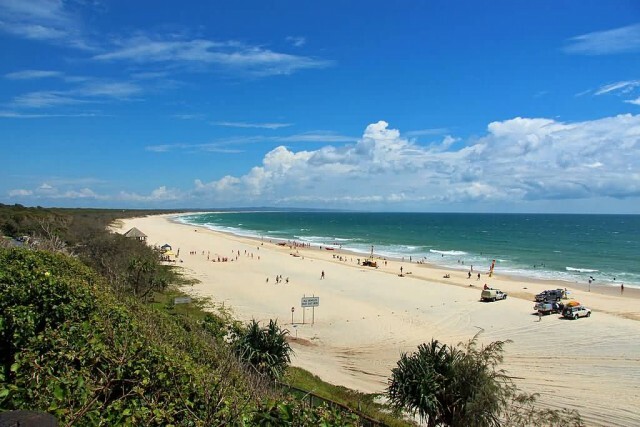 Rainbow Beach is located 75 kilometres from the Bruce Highway town of Gympie and 239 kilometres from the Queensland state capital, Brisbane.